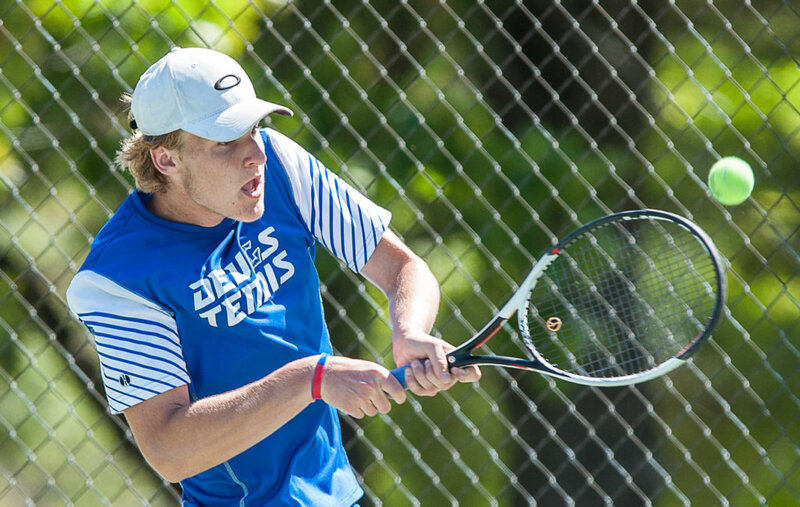 Some thought it may be a down year for Lewiston boys’ tennis after the Blue Devils lost some key pieces from the 2017 team that went to the state championship final. Junior Caden Smith stepped up and took on the role as team’s No. 1 player this season, and the Blue Devils reached the Class A North regional final once again. Smith credits everyone around him for the success this season. The season wasn’t as smooth as he hoped it was going to be. He had a shoulder procedure done before the season started, so he wasn’t able to play at his peak until the end of the year. In that match against Camden’s Cooper Russell, Smith had a 3-2 advantage in the first set before losing 6-4. He lost the second set 6-2. Despite the loss, Smith played well. But Russell had an answer for almost every well-placed shot Smith sent over the net. He finished the season with a 10-5 record while the team finished the season at 11-4. 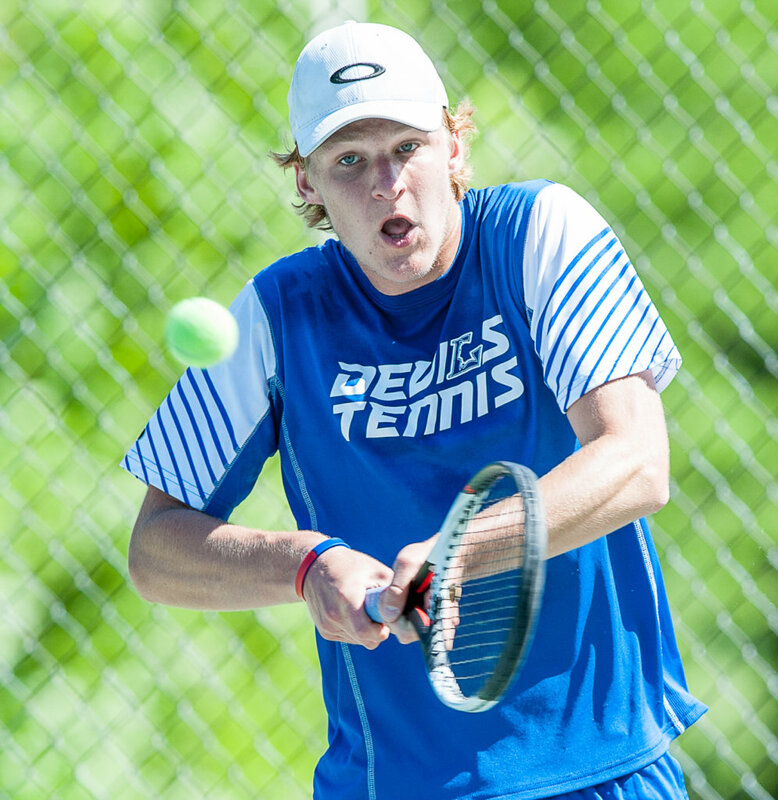 Coming back from the shoulder injury didn’t deter him in the state singles tournament, in which he was seeded 10th. He faced Matthew Ray of Falmouth in the second round falling 7-5, 6-3.